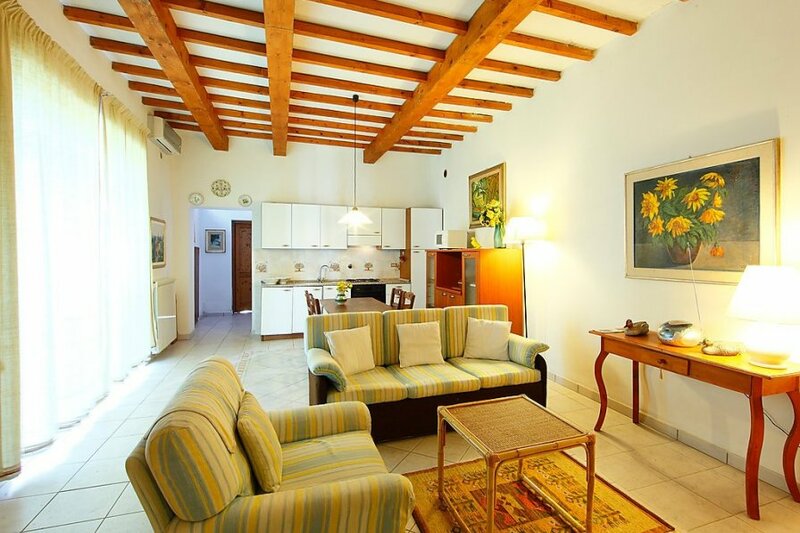 This 1 bedroom apartment is located in Falciani and sleeps 4 people. It has WiFi, air conditioning and a garden. Private furnished outdoor area in the shared garden..
Central heating system, washing machine (for shared use), heating to be paid on the spot (01/11-15/04), heating available only from 01/11-15/04. The apartment is described as good value for money. This apartment is located in Falciani. The nearest airport is only 24km away. It is set in a convenient location, 5km away from the city center. The apartment has free wireless internet. You can also park on-site at no extra charge. The apartment is well equipped: it has air conditioning, a microwave, an oven, a washing machine, a freezer and a TV with international channels. It also has a BBQ and a garden.